India today announced its decision to allow FDI from Pakistan in a move that is expected to radically change the dynamics of economic ties between the two countries. 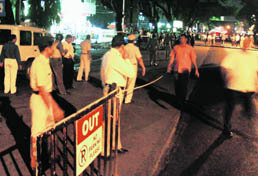 At least two persons were injured after four explosive devices went off on the busy Jangli Maharaj Road in Pune this evening. In a major breakthrough, the Gurgaon police today succeeded in arresting the 10 remaining office-bearers of the labour union of Maruti Suzuki India Limited, Manesar, who were the key accused in the July 18 mayhem. As P Chidambaram once again takes over as the Finance Minister, his task is cut out as he faces the challenge of kick-starting the economy that is ailing on several counts. 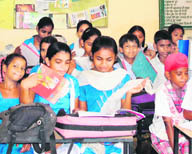 At a time when hundreds of government schools in rural Punjab are facing an acute shortage of teachers, the Education Department has found at least 3,000 teachers who have managed �special postings� to stay put in cities and towns of their choice for years together.